I needed a change of scenery and the Skagit Tulip Festival is in progress, so off I went. It was a little early for the full effect, but the daffodils are in full bloom. In search for actually tulips, I stopped at Tulip Town in Mt. Vernon. For $5 per person, there is easy parking, a wonderful display building with background paintings of Holland, a great outside display with a windmill and huge kites and tulip fields in bloom. There is also the possibility of a tractor pull. I also snapped a photo of a field of daffodils which isn’t in Tulip Town. This entry was posted in Farms and Gardens, Mt. Vernon, WA State - Skagit County and tagged art, County, festival, fields, flowers, kites, Mt. 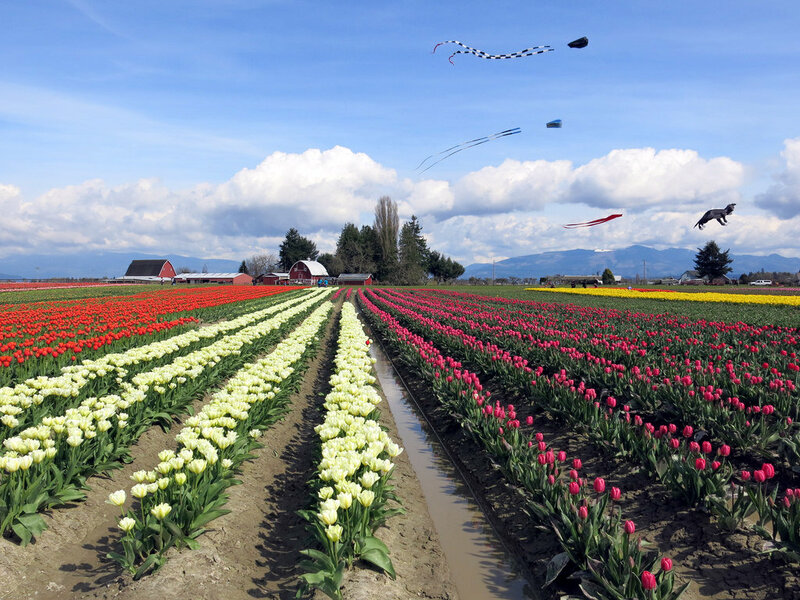 Vernon, Skagit, tulips on April 2, 2014 by admin.